Home / Behind the Scenes / Former TNA Knockout Signed for GLOW Series? Former TNA Knockout Signed for GLOW Series? 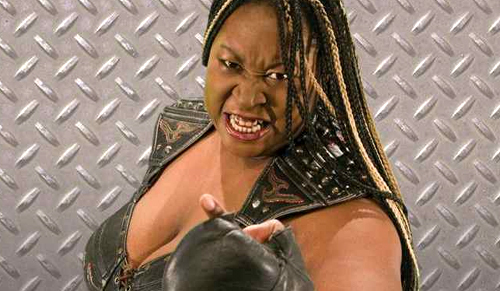 Deadline.com is reporting that former WWE and TNA star Kia Stevens (Awesome Kong/Kharma) has joined the cast for the upcoming “G.L.O.W.” 10-episode comedy series being produced for Netflix inspired by the 1980s female wrestling league. Alison Brie and Marc Maron had been previously announced as being part of the series. We reported a few weeks ago that former WCW, WWE and TNA star Chavo Guerrero Jr. also signed on to be a wrestling coordinator for the show.